If you haven’t seen this trailer yet, you’re going to want to. Stat! A SciFi, comedy musical with awesome stars like Miracle Laurie (Dollhouse), James C. Leary (Buffy), Nichelle Nichols (Star Trek) and more… bookmark the Cabonauts’ website and follow them on Twitter to keep updated on when this outrageously awesome show starts. Web videos have become the next big thing in Hollywood, but strict news shows and coverage of the web is only now exploding with places like NewTeeVee and other websites. Now from the creative minds of Kristyn Burtt and Sandra Payne comes a interview show that brings the background scoop on some of your favorite web shows and creators. The first episode features Tay Zonday in a friendly interview format that makes you feel like you’re right there with Kristyn. Beautifully shot on location the video has impressive quality standards that I can’t wait to see more of. All in all a great first episode and I can’t wait for the next episode with the Cast and Crew of The Crew! Coming Soon – A New Web Series to Cover Web Celebs! 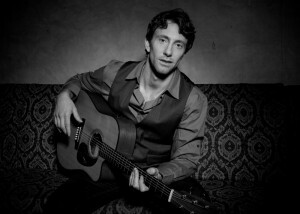 New web series, “The Web.Files,” will launch its inaugural episode on July 8, 2009, from multiple platforms across the web. Planned as a weekly talk/inteview show featuring 5- to 7-minute episodes, it was first conceived by entertainment correspondent and hosting veteran, Kristyn Burtt. During her coverage of the March 28, 2009, Streamy Awards from the red carpet, Burtt realized that the people she was talking with that night had a lot of untold stories. Stories that she would like to tell. She devised a plan to create a web series she would host centered around the principals involved in creating the best, most-watched, highest-rated, and most talked about series on the web. Burtt contacted award-winning filmmaker, Sandra J. Payne, whose SPwrite Productions, LLC, was about to launch its first web series, “Life with Kat & McKay” on its new web portal, PurseDog.tv. Both passionate about New Media, Burtt and Payne decided to combine forces to create “The Web.Files.” Burtt’s first interview is with YouTube sensation Tay Zonday, who became one of the early break-out stars from that site with his song, “Chocolate Rain,” which currently has more than 38 million hits. “The Web.Files” opening sequence is now available for viewing. Follow “The Web.Files” on twitter at https://twitter.com/TheWebFiles, or find us on Facebook. Watch the episodes on Strike TV. 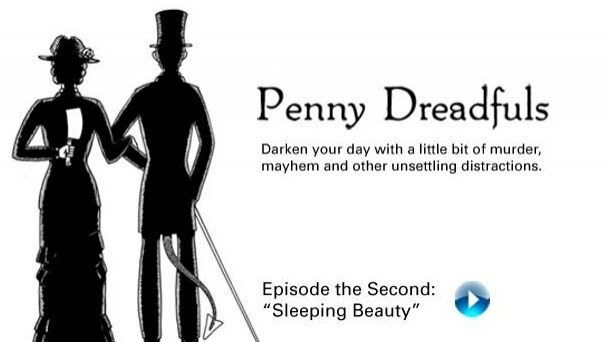 If twisted, gothic-style storytelling is your cup of tea (or if you enjoy stories like “A Series of Unfortunate Events” for the bad things that happen or Sweeny Todd for the killing rampage), you may enjoy the webseries: Penny Dreadfuls. Now, for those of you not up on the 18th century lingo, which I’m all to pieces over, penny dreadfuls was a term applied to cheap, sensational stories that came out as serials once a week. Along the same vein is this webseries, which is extremely twisted. Don’t get me wrong when I say they are – twisted. At the time of writing this review there are two episodes, both which left me with the desire to take a long hot shower and clean off the ick. Despite their short length, the episodes tell amazingly rich stories (especially episode 1 “Feeding”). The actors are also a treat to watch, compared to other shows that just cast “pretty young things”. Produced, Directed and edited by James Arnall, the stories have amazing visuals and James seems to be able to use “unspoken” moments to get story ideas out. 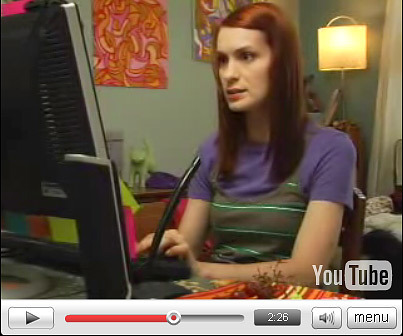 The second episode (“Sleeping Beauty”) features Michele Boyd, who you may know from Season 2 of the Guild. I can’t wait to see more stories in the Penny Dreadfuls series. Especially since they’re so self-contained the stories can continue on for awhile without much effort (you know, beyond… actually making them). So the potential to horrify me via my computer screen is still huge. Presented by Tilzy.TV, The New York Web TV Meetup is a monthly event devoted to celebrating and supporting innovation in the exploding digital entertainment industry by bringing together the dynamic community devoted to online entertainment. Each month, we’ll take an in-depth look at the processes and people behind some of the most successful entertainment products created for broadband distribution, followed by networking with industry peers, artists, executives, producers, and up-and-comers.